Pantone’s Colour of the Year for 2017 lends itself beautifully to bouquets brimming with greenery and foliage, as well as wild green and leafy garlands. Work in elegant white blooms for to keep it fresh and simple – a heavenly colour combination for any season. Alternatively, you can include eye-popping shades such as fuchsia pink and citrus yellow for a sizzling Summer soiree. 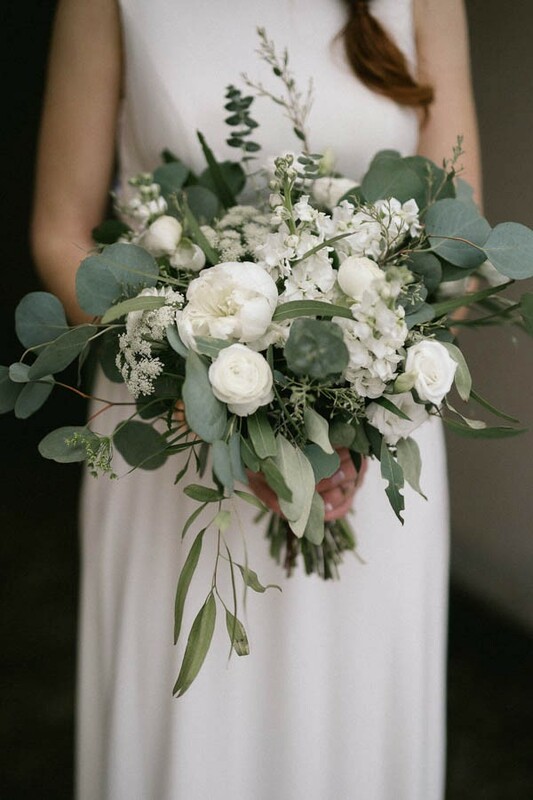 Green is an extremely versatile colour, especially when it comes to floral arrangements. Pantone’s Colour of the Year also gives you the chance to get ultra-creative with fun and fabulous cocktails. 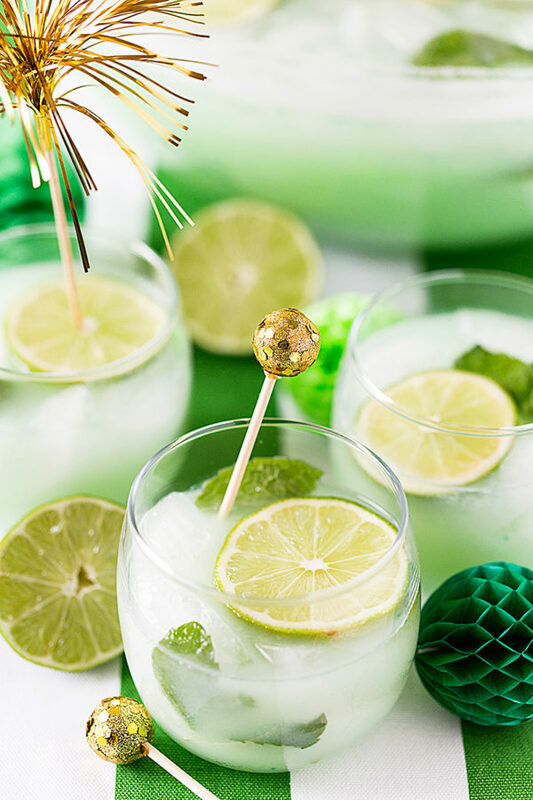 From zesty mojitos to chilled water infused with green tea, there are so many chic drinks to choose from when it comes to greenery. If you’re planning a green wedding based on Pantone’s Colour of the Year, why not dress your team of ‘maids in exquisite green gowns? Team with glittering gold accessories for a dazzling finishing touch for your bridal party. If you’re a fashion-forward bride-to-be, you could opt for a show-stopper statement green gown instead of a traditional white dress! There are no rules when it comes to aisle style, and it’s a fabulous choice if you want to wear something a little different for your big day. Whether you’re planning a wedding, party or any other event, we suggest you set the scene with your stationery. 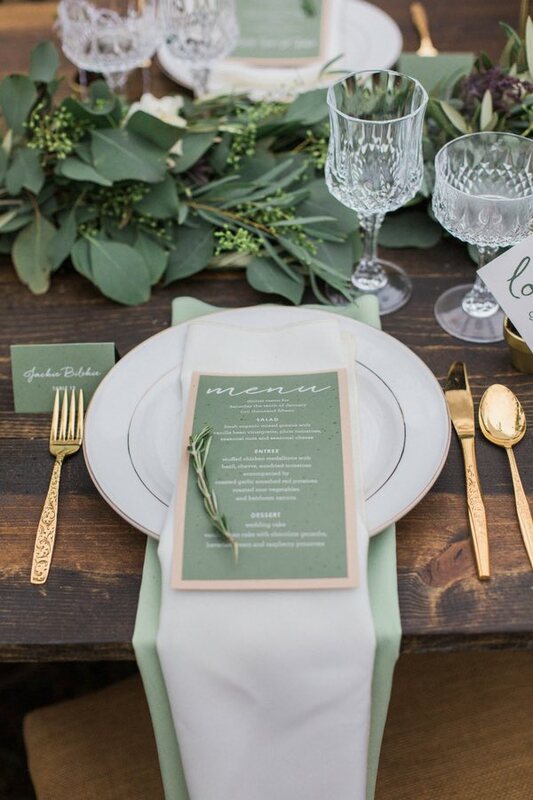 Green looks divine as the main colour for invitations suites, whether it’s forest green or emerald jewel tones. Keep the same design throughout your wedding or event, it’ll create a ‘brand’ effect and will look oh-so-luxurious. When it comes to decorating your venue and styling your tables, you really can’t go wrong with Pantone’s Colour of the Year: greenery. Pale succulents and cacti in terracotta or concrete pots look chic and on-trend, while foliage-based garlands look stunning lined along tables. Add in a botanical vibe by using palm leaves and fern as an alternatively foliage for your event. 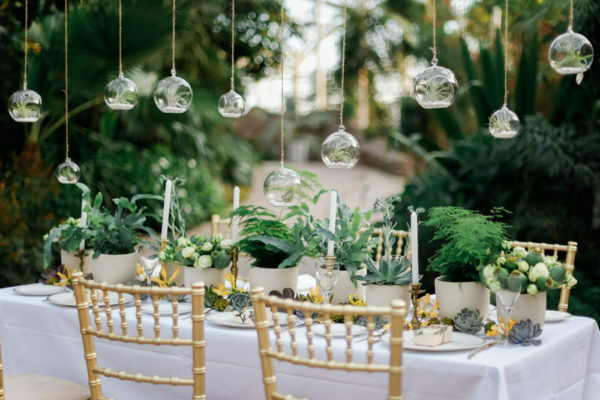 We’ve seen an increase of weddings and events using greenery and foliage throughout venue décor and styling, and it seems that this trend simply won’t budge – and we couldn’t be happier. 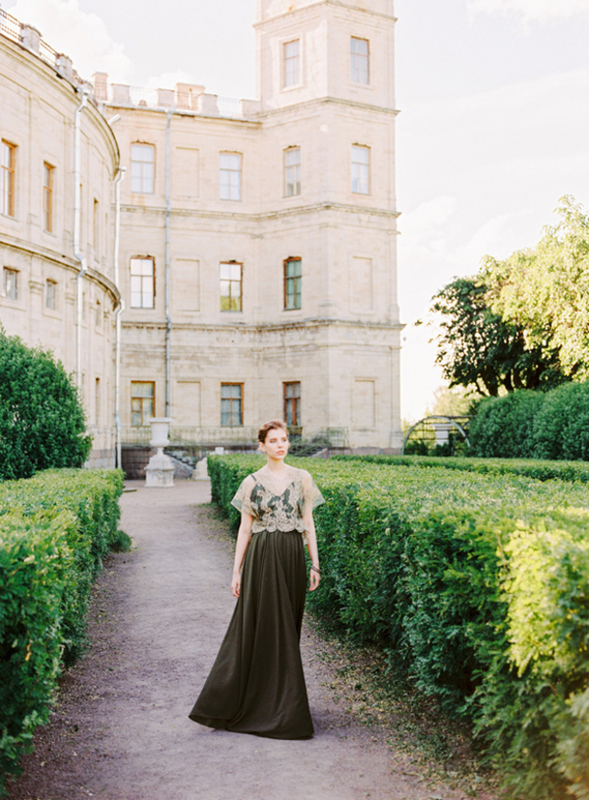 What a fantastic post – now I LOVE the greenery color of the year for 2017 even more. I’m so pumped for this color! It’s fresh and bright. These are some great ideas. 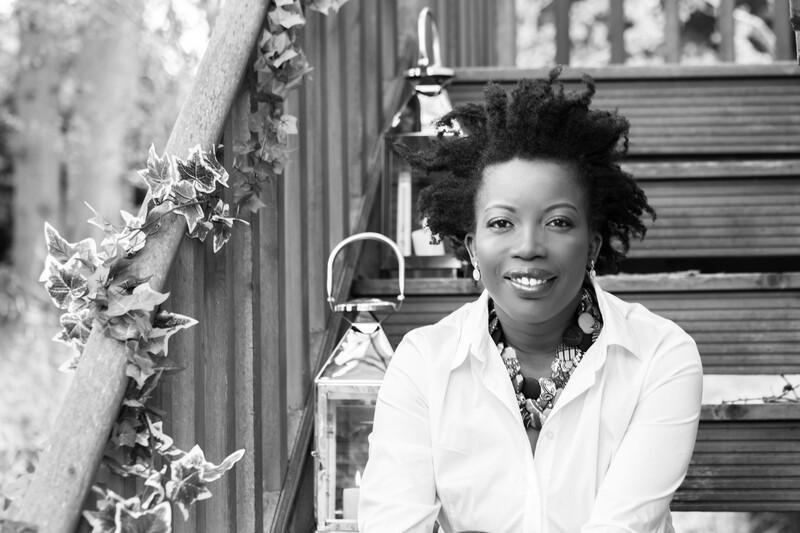 I’m so super excited about this one – so fresh! These combinations are gorgeous! Can’t wait to see how you and your clients put these color schemes to work! Thanks Aimee – it’s a fun colour to work with!! Oh do it Terri! There’s always a vow renewal ceremony!